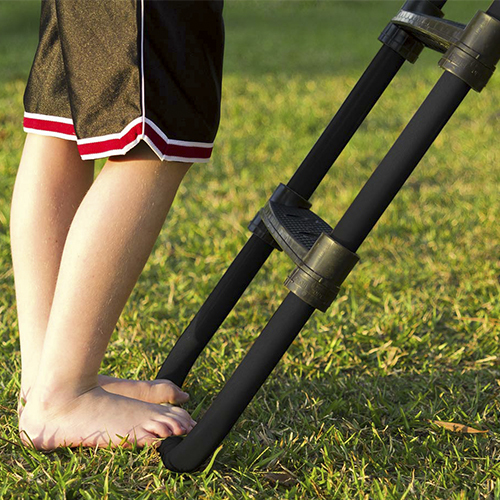 This ladder is a direct fit for any Ultra or Lift 2 trampoline. If you don't have a Vuly® trampoline we highly recommend our easy to use Ladder Size Calculator prior to purchasing, to ensure you get the correct size. Vuly's trampoline ladder measures 1000mm long, which is perfect for any trampoline that has a frame height of 910mm. 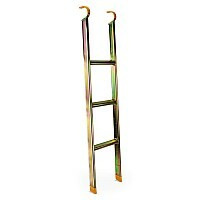 The non-slip grip, extra-wide steps, clever low angle of access and specially engineered flat-top design make this ladder safe for everyone to use. Will fit any Vuly® trampoline (excluding the Thunder range). Ideal for trampolines that are 850-925mm high.